My name is Gerardo Saz. I was born in Lima on October 31, 1965. I studied industrial engineering at the Ricardo Palma University, although I was always attracted to electronic engineering. During my studies I became interested in software development. Between 1993 and 1998 I worked at Cerper's IT office at software development. Cerper is a quality control laboratory. 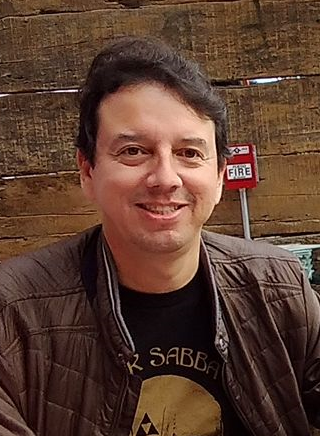 In 1998 I started to work at the General Secretariat of the Andean Community as a systems analyst, participating in several software development projects. I am an industrial engineer specialized in systems; with studies of the master's degree in systems management and information technologies of Universidad Peruana de Ciencias Aplicadas UPC. I have always been interested in improving processes and innovation. Due to this reason, I am familiar with some of the topics that will be covered in the course. I think it is time to go beyond software development and dedicate myself to do more tangible things that help improve companies and communities.